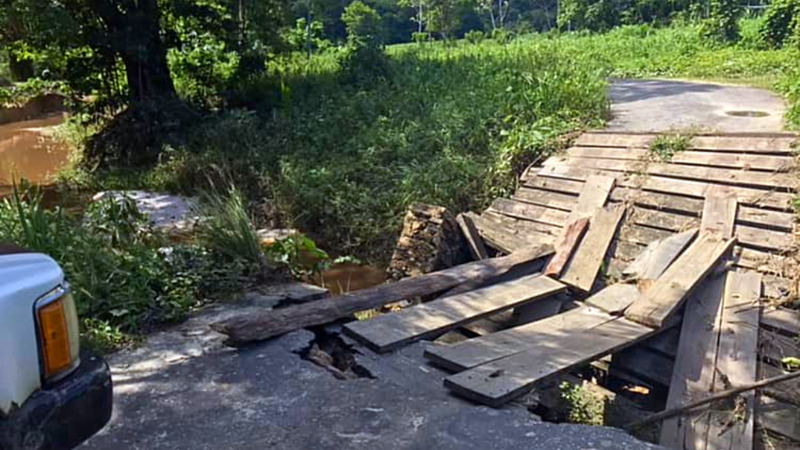 Photo: A broken bridge in Vega de Oropouche has cut off villagers. The bridge has not been repaired since it collapsed after heavy flooding in October 2018. A Vega de Oropouche farmer is struggling to pick up the pieces after his house along with farming equipment, tools and materials, were destroyed in a fire earlier this month. 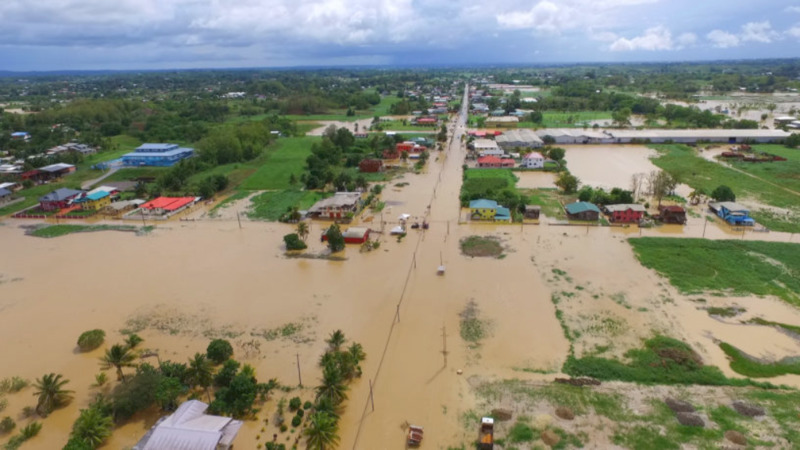 Suresh Singh, who owns farmland in Melajo, Macaulay Road, Vega de Oropouche, said to LoopTT that he was threatened by persons known to him, who are trying to chase him off his land. Singh said the value of items lost is close to $300,000, and he is asking for any assistance to get him back on his feet. "They burned down my house, I lost everything, all my equipment, it was an upstairs-downstairs board house with two big sheds, I had a full kitchen, everything. I filed a report to the police but I have not heard anything since then." Singh described how he was threatened by several men, one of which he said was armed, who told him not to go on his land. 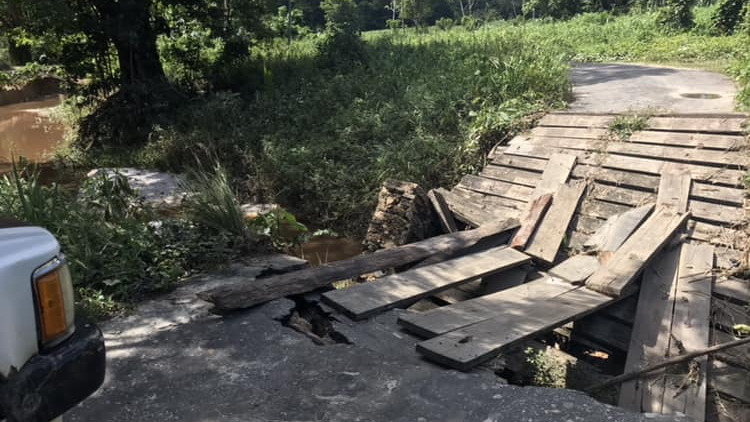 The situation has been exacerbated since the main bridge linking the village to the outside world collapsed after heavy rains in October 2018, and has not been repaired since. "This thing has been ongoing for a while...they want my land. He wants to plant on my land but he doesn't have any money to buy the land. Since the bridge collapsed it has gotten worse because I cannot be here to monitor what is happening. My guys are afraid to stay here at night in case something happens. But if the bridge is there I can check on them." Singh said on Sunday, January 13, 2019, he was threatened by someone known to him. "We told the police who the suspects were because they weren't wearing a mask and they had guns." "He met me by my house and said not to go back there or he would kill us, my workmen too. He said not to go there anymore...He said furthermore you won’t have a house to go to so don’t come back here anymore, " he said. Singh said he received a call from a neighbour late Sunday night who said his wooden house was burning down. He asked if the neighbour could have helped to put out the fire but it was far too gone, and due to the bridge being down he was unable to get there in time to save it. Singh said he is struggling to cope with the situation and said due to the lack of equipment and dry weather, he may lose his crops. "I lost everything, pumps, irrigation, whacker, blowers, all the kitchen, wardrobe, beds, everything. They estimated about $300,000 in damages. I had tractor parts and didn’t even list that in the report. I had a turbo for my tractor in the house, that's gone too," he said. 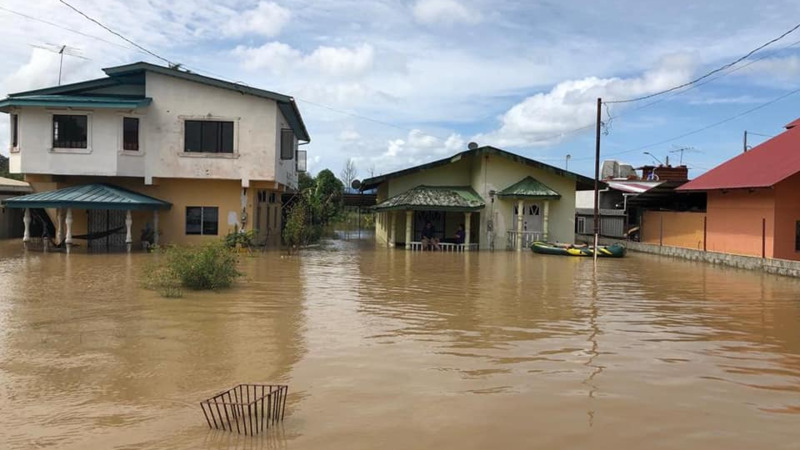 Singh said he received some small funds from the regional corporation but it is not enough to get him back in operation. "The corporation tried but they couldn’t give much...I want to build back the house. I could get some materials from people, if they could help I would be grateful. "I would build it back with a proper foundation and concrete floor and go five feet off the ground and once I can get some galvanise, anything cheap I can use. Singh, who has a young son, is asking for any help he can get. "I have a son, he has to go to school, right now it’s hard because to take care of the produce, we need these tools because if they don’t get wetting they will go through. I’m trying to see what help I can get." "I had buckets for produce, crates, everything, there was nothing left in the house. Sometimes when I talk about it I hold back from breaking down. My worst enemy passed here, we haven’t spoken in years. He passed and watched me and I could see it in his eyes, it bothered him. He said ‘Boy Suresh I can’t take this, not like this, this is wrong,” he said. Anyone willing to sponsor materials for Suresh Singh can contact him on 668-4157 or 368-1228/496-3098.